Strona główna / Moduły PrestaShop / Dostawa & Logistyka / Koszty wysyłki / Additional Shipping Costs. Oszczędź $11.00 wybierając tę opcję już teraz. 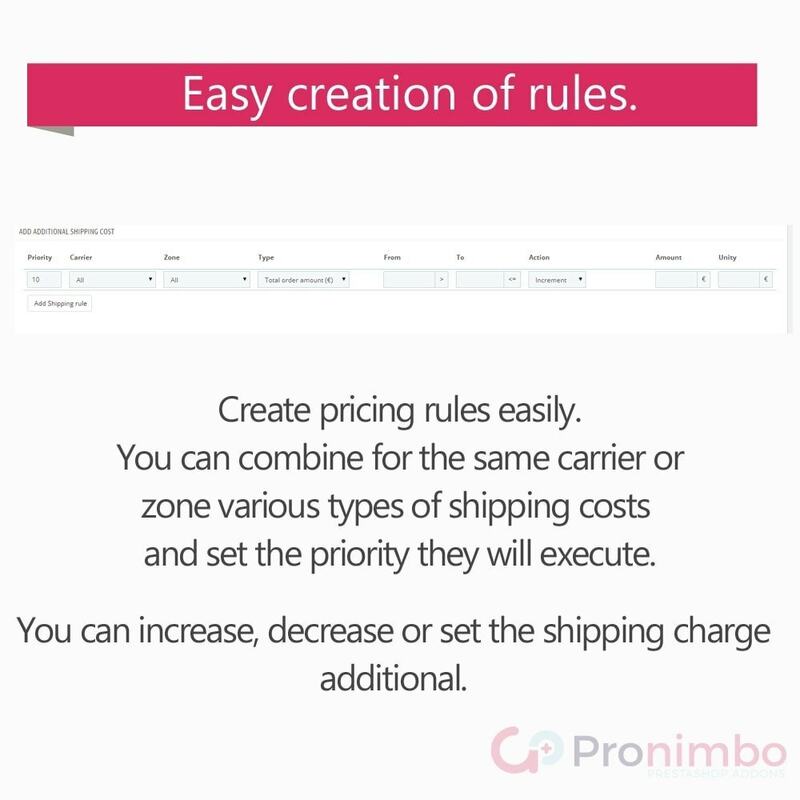 Creates rules to increase the cost of shipping charge based on exact weight of product or price. If we create a range of 10 to 15kg and indicate the cost is 0.5 kg € , an order of 12 kg will have an additional cost of 1 € ( 2x0.5 € ) . You can be more competitive in shipping costs. You will apply the exact cost. Priority Selection of implementing the rules of shipping cost. You will be able to charge the customer the real cost of shipping and not an estimate. 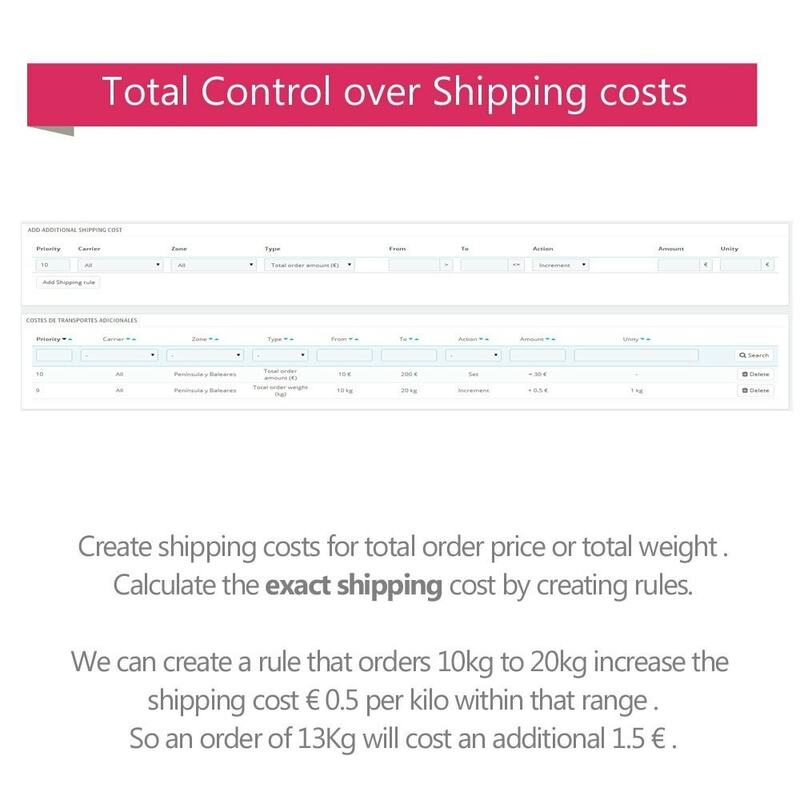 Calculate shipping cost by weight. 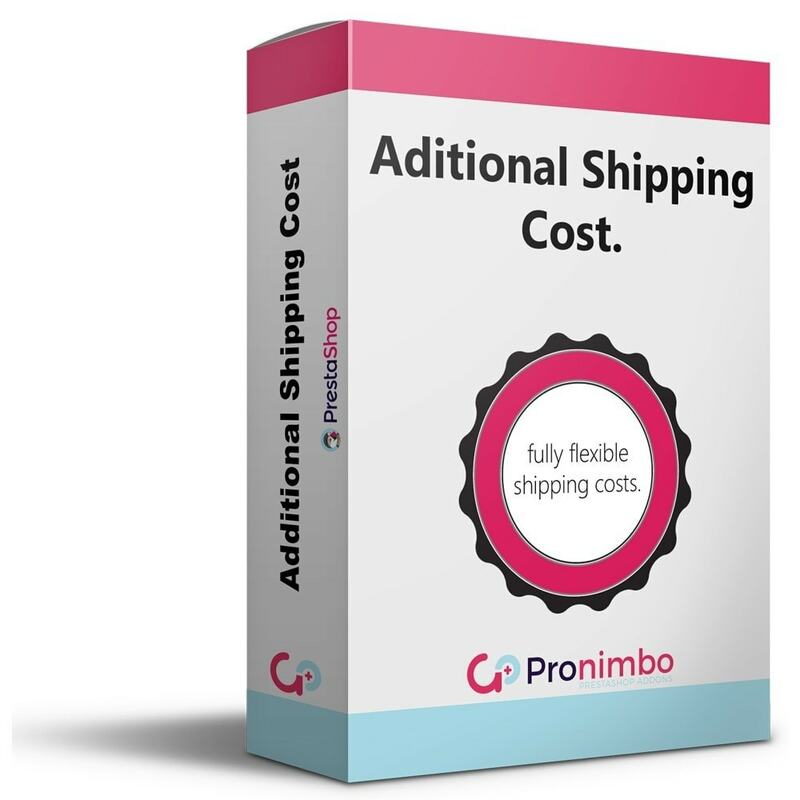 Calculate shipping cost by total amount of the order. Edit quickly and easily hundreds of products. Modifies prices percentage and not just in units. You can also move or copy items between categories or specific stock price increase among others. Save time and gain productivity. Credit Notes/Memos. Complete or Partial. Create complete or partial credit memos. It also controls the stock in case there return merchandise. Create and send a PDF to your clients easily. It is bringing together under a single credit note a several invoices. Adds key SEO factors to your ecommerce. Enable or disable nofollow or noindex meta tags on products, CMS, categories, suppliers or manufacturers. You can customize the Canonical url and create metatitles and metadescriptions through tags.